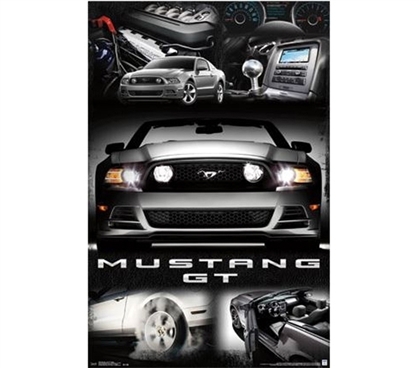 Cool posters for college like this Mustang - 2014 GT Collage Poster will add to the coolness factor of your college decor. There's a difference between dorm supplies that look good and ones that look downright cool! Your twin XL comforter and other college bedding items might look good, for example, but to look cool, that takes something like the depiction of a Mustang GT to accomplish. Clearly, this poster for college captures just that. Shopping for college should be fun, of course, and buying your posters for college should be some of the best dorm items you'll get. After all, they're cheap dorm supplies, and if you take care of them, you can use them all throughout college! Supplies for dorms that have some longevity to them are useful dorm items and are a better value, as well. So don't overlook those dorm necessities while you're buying dorm room essentials.